We are a world-class provider of fine foods; setting the standard in quality, cleanliness and safety. Our product range is extensive and includes premium quality beef, seafood, poultry, veal, lamb, game, deli meats, kebabs, cheese, bread, ice cream, gourmet desserts as well as a full line of kitchen ready foods. In addition to providing products from our processing facilities in the United States of America we also have close relationships with food plants in Poland, Belarus and Ukraine. As an example, the Rastelli Ranchers Reserve ‘Hand Selected’ Program is a Premium Choice Hereford Steer beef from Poland. The program provides naturally tender, juicy and avourful 120 day grain fed beef, hormone free and antibiotic free beef. All of these plants produce products to our US standards. 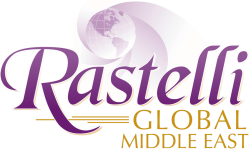 Rastelli Global is able to source and consolidate almost any U.S. produced food item. We currently distribute over 5,000 products and work with more than 500 vendors from around the world. Our extensive list of products is ever-evolving so please contact us if you have a need for specific product brands.